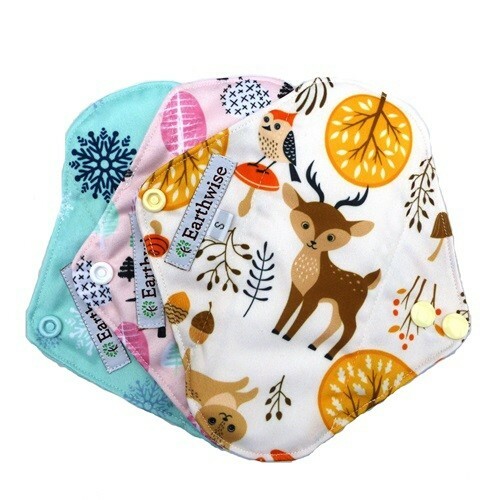 Soft fleecey reusable menstrual pads with a PUL waterproof backing and microfibre absorbent core. 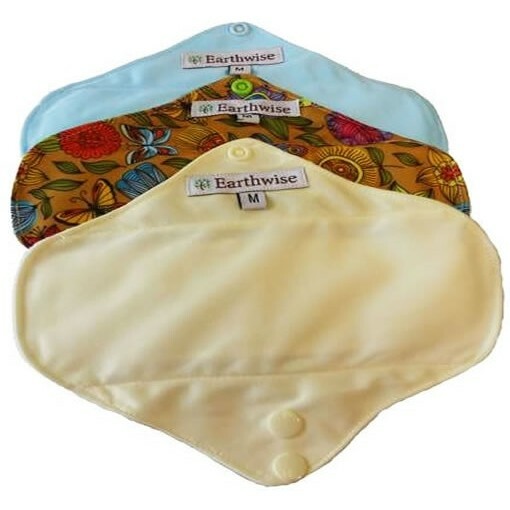 Regular size for light to normal flow days. Simply fasten around your knickers using the adjustable poppers. 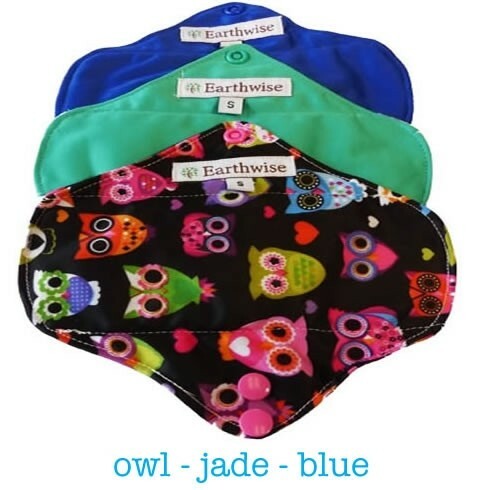 A safe and convenient alternative to disposable pads. 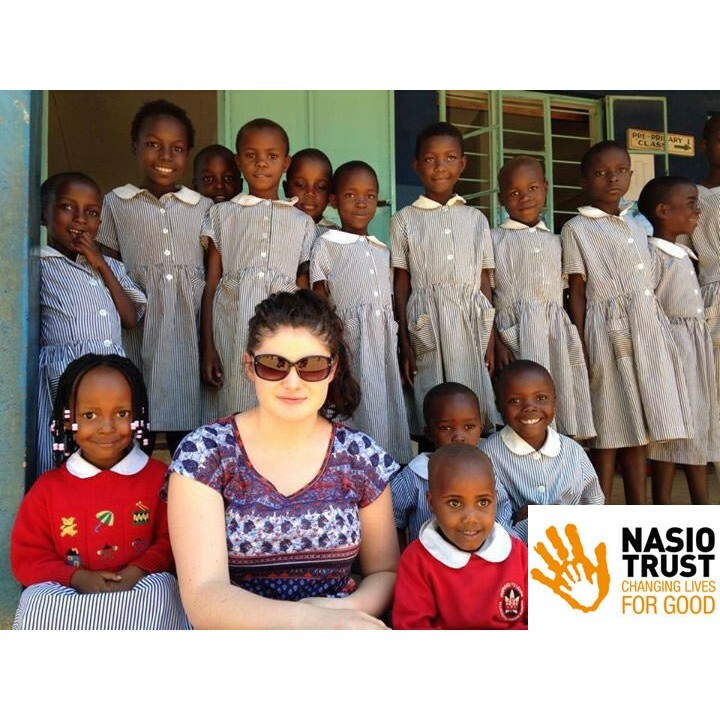 Charity initiative - for each pack of pads sold Earthwise will make and donate 1 pad to an orphaned girl in Kenya through the Nasio trust. In some parts of Africa something as normal as a period can cause social stigma and awkwardness especially for young girls. 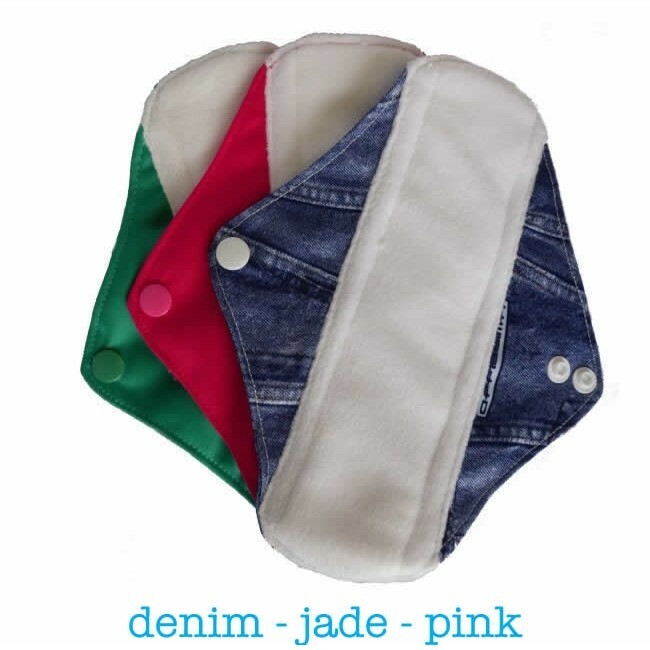 Access to information about menstruation and sanitary wear is limited so we think this charity initiative is a fantastic idea.